L39 Ormskirk End of Tenancy and Move out Cleaners | Quality Property Care Ltd.
Household and commercial end of tenancy cleaning service is now just a call away! Get in touch with our well mannered customer reps today. Call up on 0151 673 0008 and as for professional end of tenancy cleaning help right away! It is brave to take care of the entire end of tenancy cleaning on your own, but it is certainly not the optimum choice at all. Instead of losing time in cleaning, rubbing and sanitizing, you could deal with your removal: smoothly and step by step, with no pressure by the time. Utilizing professional end of tenancy cleaning service from Quality Property Care Ltd. in Ormskirk L39is also more acceptable as to the cost. Why bothering with annoying cleaning, when moving out is carrying so much stress? The affordable solution is here: superior end of tenancy cleaning service that costs very little! 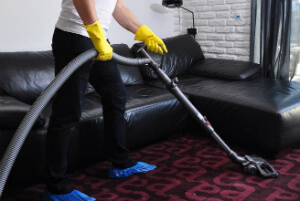 The finest and the most diligent end of tenancy cleaners in town are here to help you in this hard and dirty circumstance! In the bathroom we clean taps and fittings, eliminate all lime scale and clean, the soap dispenser is cleaned out, the radiator and towel racks are too cleaned and left to dry. The shower screen and ceramic tiles are cleaned completely, the bath and toilet, bidet and shower cubicle are cleaned spotless, then wiped dry to avoid mold expansion, all limescale is eliminated and the tiles are scrubbed clean after that dried with a dry towel or paper. Kitchen electronic devices - refrigerator, freezer, dishwasher, washing machine, microwave, oven, toaster - clean inside and out, degrease, and removing any residue. Be quick to make a rapid booking for our flexible end of tenancy cleaning company Ormskirk L39 services! 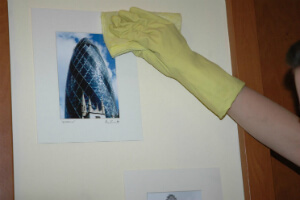 Quality Property Care Ltd. is available for your end of tenancy cleaning orders. Get a free quote now or ask for further information! Use that 0151 673 0008 phone number or the online booking form and reserve our end of tenancy cleaning service in Ormskirk L39 at small fraction of the cost today!